The entrepreneur willing to open a company in Montenegro must be familiarized first with the types of business defined by the law. These are the limited liability companies, the public limited liability companies, the general partnerships, the limited liability partnerships. A foreign company may also open a branch in Montenegro. Our company formation experts in Montenegro can help businessmen open any of the company types available in the country. Businessmen interested to know the amount of money they will have to pay in taxes in Montenegro are invited to use our tax calculator. The Limited Liability Company (Drutvo s ogranienom odgovornou) in Montenegro can be formed by at least one shareholder but the total number of them cannot exceed 30. The liability of the members of a D.O.O is limited by the contribution to the capital. Even though it doesn’t require a minimum share capital, the entity must open a bank account which will be used for various transactions. The capital of a D.O.O is divided into non-transferable shares. The general meeting of the shareholders is the highest instance in the company and the directors appointed by it are taking all the necessary decisions in order to continue the business every day. A Joint Stock Company (Akcionarsko drutvo) is designed especially for large businesses due to the fact that it requires a high amount of capital (25.000 EUR) and the shares of it can transferable to the public. The major decisions are also taken by the General Meeting of the shareholders but the daily decisions are taken by the Board of Directors appointed by it. An auditor is also appointed in order to check the company’s finances. The foreign investors which own a company in another country can open a Montenegro branch by providing the minimum share capital and by taking the whole responsibility for its actions. Other forms of business opened by the foreign companies are the subsidiaries and in research purposes, the representative offices. The general partnership is another business form available for foreign entrepreneurs who want to operate in Montenegro. The general partnership can be created by at least two members, known as partners. These can be natural persons or other companies, or a natural person and a company. In a general partnership, all the members will be required to enter a partnership agreement and will be equally responsible for the business’ debts and obligations. They will also have the same benefits in terms of profits generated by the partnership. Foreign enterprisers can also open limited partnerships in Montenegro. The same requirements are applicable when opening a limited partnership, with the main difference between the members of the business. In this type of partnership, there must be a general partner who will also manage the business and a limited partner who will act as a silent partner. The general partner will be responsible for their personal assets for the business’ obligations, while the limited partner will be accountable only in the limit of their contribution. The simplest business form when starting a business in Montenegro is the sole proprietorship or sole trader. This type of business requires one member who must be a natural person and who will be entitled to the whole profits of the company. He or she will also be responsible for the business’ debts with their personal assets. Our company registration advisors in Montenegro can help foreign investors set up any of the business forms described above. the necessary business licenses must be obtained with the appropriate authorities before starting any activity. We remind foreign investors they can benefit from virtual offices services in Montenegro. This type of service can be used as a legal address when setting up a company in Montenegro. 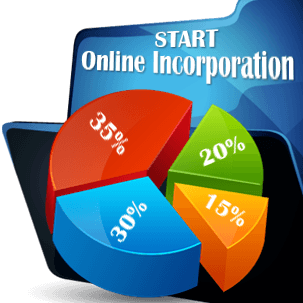 We can also help with the preparation of the documents need for company incorporation in this country. At the beginning of the company formation procedure in Montenegro, the company's foundation documents must be certified at the basic court (due to the fact that the job as a public notary is not officially recognized in Montenegro). - a document which confirms the payment of the registration fee. The Montenegro Registry will notify the Official Gazette who will publish a notice regarding the newly formed company. If the company will have employees, it must register those for Health and Pension at Tax Administration counter. After that, the founders order a seal or stamp because it is essential for future company transactions. A bank account is opened once the company is registered with the Company Registry and tax office and the Statistical Office. The last step of the company formation procedure in Montenegro is notifying the competent inspection authority and the municipal authority in charge of economic affairs. All the steps described above can be handled by our experts in company registration in Montenegro. the accounting fee for one month is approximately 130 EUR if you do not want to worry about the bookkeeping of your Montenegrin company. Since Montenegro has gained its independence back in 2006, the country struggles to become one of the most important destinations for investors who want to start a company in Europe. The most developed sector in Montenegro is tourism. The Government has invested sharply in infrastructure, making the country more accessible for tourists but also for investors. The economic climate is stable and continuously growing. The fiscal system is very favorable; the income tax may vary from 17 % to 0%, the VAT can vary from 17% to 7% and in some cases, the capital gain tax is 0%. The used currency is Euro and this facilitates the trades. For more details about the investment options available in this country or for complete company formation services, please contact our specialists in company registration in Montenegro. Our company formation firm is part of Bridgewest, an international legal network. Clients that need company formation services in Croatia, United States of America, Indonesia or Seychelles or legal assistance in Montenegro are invited to contact our partners.